Having introduced the subject in general, let us be reminded, once more, that what we have here is a picture, an external picture, of something which is itself internal and essentially spiritual. The danger with a picture such as this is to materialize it over much. Many have fallen into this trap. We must bear this in mind as we proceed to the interpretation of the significance of these different parts in this whole armour of God. The Apostle as a prisoner was familiar with Roman soldiers and always having to look at them. Chained sometimes to a soldier on the right hand and on the left, it came very naturally to him to use such a comparison and to say, in effect, “this is a picture of what we have to do in a spiritual sense. These pictures however have to be handled always in a fairly general manner. There are six main pieces to this armour altogether. Paul says that we are to have our “loins girt about with truth”, we are to put on “the breast plate of righteousness” and our feet are to be shod with “the preparation of the gospel of peace”. Then we are to take up “the shield of faith”, to put on “the helmet of salvation”, and to use “the sword of the Spirit”. Those are the six pieces of the armour mentioned. The Apostle never meant this to be exhaustive. There are other aspects to the warfare and to the defense. What he does is to pick out the most important pieces, those that are absolutely essential as we look at this spiritual warfare in general. Many Bible Commentators agree that these six pieces of armour can be classified into two groups of three each. The basis of the division is roughly that the first three are parts that are actually fixed on to the body. The girdle about the loins, for instance, is actually fixed in position on the body. So is the breastplate. They do not hang loosely or as some loose attachment to the body. They have to be tied or braced on. The sandals likewise have to be fixed firmly upon the feet. These three parts of the armour have that feature in common. But when you come to shield, you are obviously dealing with something that is not fixed to the body. The same is true of the helmet. The helmet in the days of the Apostle was not fixed on to the head as it is done today. One other general comment before we come to the detailed consideration of the first piece is that the order in which the pieces are mentioned is of great importance and significance. The Apostle did not set down these different items at random in a haphazard manner as they might occur to him, or as he looked at a soldier, he builds up a case; and it is essential that we should adopt his method and look at these separate pieces of the armour in the order in which he introduces them to us. So we start with “... having your loins girt about with truth” The Authorized Version translation in this instance is not as good at it might be; it is misleading in the sense that it puts it in a passive tense instead of the active tense. Instead of reading “Stand therefore, having your loins girt about with truth” as if someone else did it for you, a better translation is “Stand therefore having girded your loins about with truth” (New American Standard). In other words, it is we who have to do this. The girdle is not put on us, we have to put it on; and we have to put it firmly in position. God provides the armour; we put it on in position. The girdle is vital because of its function. Here we are to remember that the Apostle was writing for his day when it was the custom for people, both men and women, to wear long and loose garments, something like our Agbada perhaps even longer and looser. Now the purpose of the girdle was to gather up and to bind together these loose garments. That was its essential function. When a man is sitting down and relaxed, he takes off his girdle; but the moment he wants to be active, he gathers his garments together and fixes them in position by a girdle. He did so because otherwise these flowing garments would have been a hindrance to him. He would constantly be stepping on them; he would be stumbling when trying to handle the sword, or when he held up his shield . So the first thing the soldier always did when he was getting ready to meet the enemy was to gather all his clothing together and fix it firmly in position by means of this tight band or belt which then held all his clothing in position. And the very putting on of the girdle in and in itself braces one up and prepares one for action. But still more important is the fact that putting on the girdle frees the soldier for action. He is now unencumbered in all his actions and movements, and is able to hold up his shield with one hand and handle the sword with the other. He needs not be afraid that he will trip or fall or become entangled in any part of the garments. It was essential for him to have free and unencumbered action. In the third place, the girdle gave the soldier a sense of security. He was ready and toned up for action and felt that everything was in order and in position; he had no more collection of loose part militating against what he was proposing to do. That immediately gave him confidence and a sense of security. This picture is one that is used frequently in the Scripture. The Lord Jesus Himself used it in Luke 12: 35 when He said “Let your loins be girded about and your lights burning” Be ready for action! This is the first step always. Never be caught, He says, in a condition in which you are not ready for action. This is another way of saying: “Stand therefore, having your loins girt about with truth” The first thing we have to make sure of is that we are ready for action and prepared for any eventuality that may come. The soldier cannot hope to do anything without the girdle, there would indeed be nothing but confusion if he did not start with it and make sure of it. What is meant by truth here? Many Bible Commentators differ here. Some say, the first instinct of course, is to say that it is the Word of God, the truth of the Scripture. But they say, it cannot be, and for this reason Paul later says “Take the helmet of Salvation and the Sword of the Spirit which is the Word of God”. So they argue that the girdle cannot possibly stand for the objective truth. So they say, it means nothing more than a spirit of sincerity and truthfulness in us. 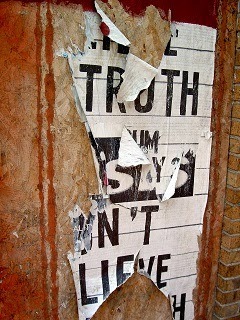 Not so much truth itself as truthfulness in us. As David says in Psalm 51: “You desire truth in the inward parts“– sincerity! We have to be honest. But this does not seem as the correct interpretation of truth. There are two ways in which we can look at truth – purely objective way and purely subjective way. I think that the girdle is also the Word of God looked at in a different manner. I think the phrase “The Sword of the Spirit which is the Word of God” refers to portions of the Scripture as illustrated during the temptations of Christ in the wilderness. He used the Sword of the Spirit in the battle against the devil. He quoted some Bible truths to the devil. This is quite different from talking about the whole truth of the Bible, the whole truth concerning the doctrine of salvation. I therefore suggest that the girdle represents whole truth, the truth in and of itself. Furthermore, the girdle cannot possibly stand for truthfulness and sincerity for one reason – this would mean that we are going to rely upon our sincerity and truthfulness as the fundamental piece of the armour in the fight with the devil. If that is the case we are already defeated and the campaign is lost. The Hymn writer has this to say about our truthfulness “I dare not trust the sweetest frame; but wholly lean on Jesus Name” The best we can say of ourselves is “I am what I am, by the grace of God”. The foundation piece in my armour is not my own sincerity and truthfulness. It cannot be that, because the Apostle is emphasizing here that it is a piece of armour provided for us by God. It is therefore primarily not a part of ourselves but something that we are able to put on, something that is given to us. Let us then see whether we can arrive at the meaning of this word “truth” by searching the Scriptures and comparing Scripture with Scripture. A scripture which readily comes to mind is John 8:30ff “As He spoke these words, many believed on Him. Then Jesus said to those Jews which believed on Him, If you continue in My word, then you are my disciples indeed; and you shall know the truth, and the truth shall make you free”. Jesus talked about “knowing the truth”; He is speaking of truth as a whole – the whole Christian doctrine in its entirety. “And the truth shall make you free” – free from the devil and sin. Christ seems to be saying “You have believed, very well, if you continue in My Word, in My instruction concerning the truth, then you will be My disciples indeed; and then the truth, which will thus be imparted to you and which you will be continuing in will make you free”. So Paul is saying, in order to be free from the wiles of the devil you must put on the girdle of truth – “God’s Word”. Consider again John 17:17: Jesus said “Sanctify them, by the truth; Your Word is truth”. Sanctification is by the truth, but it works by means of “Your Word”. In 1 Corinthians 16:13: Paul seems to say that truth and faith are synonymous for he says “You watch, stand fast in the faith” It is the same exhortation as in Ephesians 6 “Stand therefore, having your loins girt about with truth”. Truth and faith are one. You can stand in them. Peter in 1 Peter 1:13 says: “Wherefore gird up the loins of your mind”. The mind deals with truth and with faith. Both Paul and Peter talked of girding the loins. It follows that Paul was thinking of the mind, - spiritual loins and not the body. These examples help us to see that the truth in our text means a belief in, and a knowledge of the truth as it is in Christ Jesus. Knowledge of the truth is what binds me and holds me together and puts me on my feet and gives me vigour and strength as I wrestle against the devil. Or to express it more particularly, it means that I do not merely look at the bible intellectually and study it as if it were say, the works of Shakespeare, but rather that its truth gets hold of me and governs my whole attitude to the world, the flesh and the devil, and to everything that happens. Truth is the first thing we put on. Without knowledge of what we believe, and of Him in who we believe, we are already undone. Truth is the first thing we put on. Without it we are completely lost. It means that we have a settled conviction with regard to the truth; it means that there are no uncertainties and no doubts. It means also that there must be no lack of clarity. And that means nothing less than that we should know whom we have believed, and we should know what we believe. Only then, can we possibly fight a successful warfare against the enemy. This follows because the devil tries to confuse us, to lead us astray with regard to what we believe. He is a liar, he is a murderer, he is the accuser of the brethren, he is the adversary; he does not dwell in the truth, and as we have seen, he exercises these nefarious powers with particular subtlety and eagerness in his attempts to create confusion and uncertainty. The only way to repel him is “Gird your loins about with truth”. This principle is illustrated in the early Church. First in Acts 15 we see the devil sowing the seed of discontentment – The Gentiles must become Jews before they can become Christians. Again in Acts 20, we see Paul warning the Church at Ephesus “For I know this, that after my departure shall grievous wolves enter in among you not sparing the flock. Also of yourselves shall men arise, speaking perverse things, to draw away disciples after them”. The only answer to it is “Gird your loins with the truth”. In 1 Corinthians 15 and 2 Timothy 2; we see Paul writing to counter the attack of the devil on the doctrine of resurrection. Paul says that the solution is “The foundation of God stands sure”. This foundation is the truth of the Gospel which Paul describes in verse 8 as “my Gospel” The New Testament Epistles are in a sense the very girdle that we are to put on – the girdle of truth. We need this if we are going to meet with the enemy. Today, Church Organizations draw up articles of faith or “this is what we believe”. Such actions are essential because of what Paul himself said in 1 Corinthians 15:53 “Evil communications corrupt good manners” Truth does matter! If you begin to go wrong in your communications, in what you say to one another and in your thoughts, it will lead to bad practice, bad manners and bad behaviour. This is always fatal both in the life of the individual and in the life of the Church. In writing to the Church at Ephesus, Paul states that “God has given to the Church – Apostles, Prophets, Evangelists, Pastors and teachers for the perfecting of the saints, for the work of the ministry, for the edifying of the body of Christ, till we all come in the unity of the faith, and of the knowledge of the Son of God, unto a perfect man, unto the measure of the stature of the fullness of Christ” The Apostle stated the same fact again but this time negatively “That we henceforth be no more children, tossed to and fro, and carried about with every wind of doctrine, by the sleight of man, and cunning craftiness, whereby they lie in wait to deceive”. This is why the Church is today seeking that its members know the truth and be girded with the girdle of truth. There are many around us whose doctrine is to deceive. This then is the first particular exhortation with respect to our armour. There is really no hope for us in this fight with the devil, and all his wiles, unless we possess and are possessed by, the truth. Without knowledge of what we believe, and of Him in who we believe, we are already undone, we are already defeated. “Stand therefore; having girded your loins about with truth” Gird the loins of your mind” The girdle is the first in our list of the weapons of our warfare. Let us be resolute to obey the Apostle’s exhortation, “and having done all things, to stand” May the Lord help us! Amen.